ESV is a unique combination of a post-print banknote varnish and a level 3 security feature. ESV is a thin durable security layer on both sides of the banknote all over. ESV does not negatively influence other security features. ESV is detectable with compact devices and at high-speed on all banknote sorters. Proprietary security feature available as a unique signature to issuer. ESV is developed by PNO Global and PPG Industrial Coatings. ESV is a Raycron® PPG technology. ESV is a 100% UV-Curing formulation. ESV is developed for cotton-based banknotes substrate. 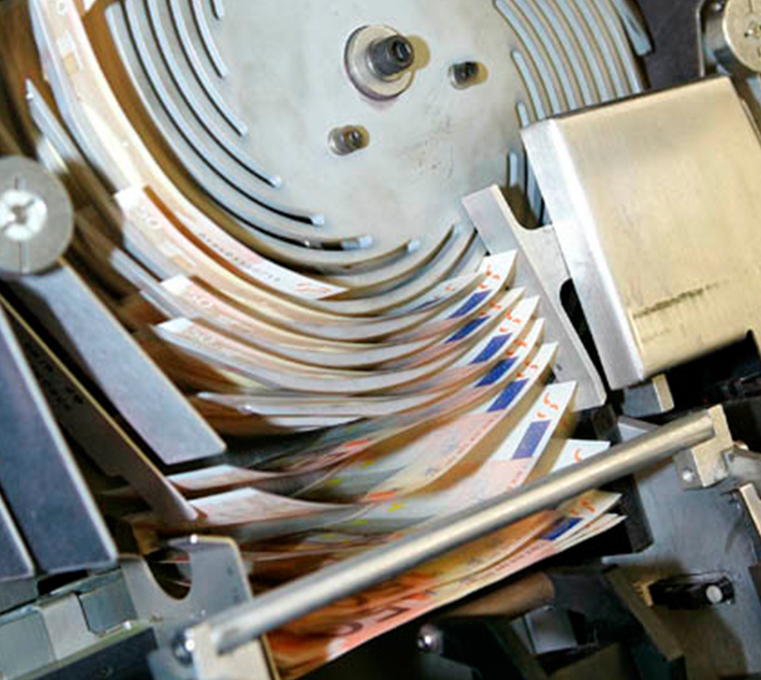 ESV contributes to 2-3% of total banknote paper grammage. ESV is a secure product. 100% banknote coverage on both sides. Readable by high speed sorter machines. Competitive pricing in relation to other features. ESV application by generally available banknote varnish machines. ESV is to be applied by anilox cylinder and UV-Curing. ESV is to be applied on both sides of the substrate. ESV is applied as last step in the printing process. MSDS is available on request. TDS is available on request. Joh. Enschedé Demo Banknote “Wolf” applied with ESV. Official launch at Banknote conference 2016, Washington. Joh. Enschedé Demo Banknote “Little Red Riding Hood” applied with ESV. Launched officially at Banknote conference 2016, Washington. Dutch banknote printer Royal Joh. Enschedé, based in the Netherlands, introduced a new house note on the first day of the Banknote Conference in Washington. The inspiration for this design is the story of Little Red Riding Hood and the Dutch Design Team choose “Expect the Unexpected” as the theme for the design. The note is created by Royal Joh. Enschedé in collaboration with Landqart, PNO Global, SICPA and KBA, each bringing their own expertise and capabilities to the table.